Mamata Banerjee, asked about Rahul Gandhi backing her as the opposition's choice of prime minister in 2019, picked a cautious, non-committal response that fully conveyed . "Let things happen first, let us defeat the BJP. We will then sit and decide," said the Bengal Chief Minister, talking to reporters in the middle of a flurry of meetings in Delhi. The comments once again telegraphed that the opposition may not name a prime ministerial candidate ahead of the general election. For many reporters, the takeaway from her response - and the meetings - was that Mamata Banerjee, whose politics has forever been confined to the state of Bengal, is prepping for a national role. 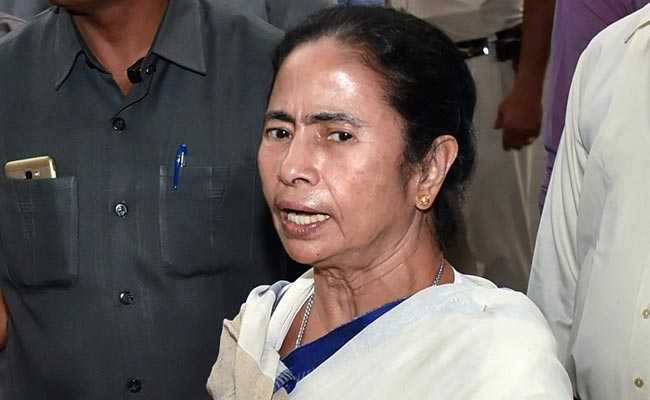 Ms Banerjee is meeting several opposition leaders in her three-day Delhi visit, to invite them for her mega-rally on January 19 to showcase opposition unity. On whether she considered herself the glue to bind the opposition, she told NDTV: "I maintain the best of relations with everyone. It is a parampara...a courtesy. I am happy to meet all of them." Mamata Banerjee and her Trinamool Congress have aggressively taken up the controversial new list of citizens, or an updated National Register of Citizens for Assam, which excludes 40 lakh people. In several public statements in the past two days, she has ripped into the BJP, which also rules Assam, and accused the party of targeting people who it believes will not vote for it. The Trinamool also took a lead role in opposition protests in and outside parliament. Yesterday, Ms Banerjee said: "There will be a collective leadership to take on BJP in the coming Lok Sabha polls in 2019." Speculation about Mamata Banerjee as PM candidate intensified after the Congress recently indicated that it is open to the idea of supporting other leaders like the Trinamool leader and Dalit powerhouse Mayawati for the top post. "The Congress is not averse to anyone else as the next prime minister except from the BJP and the RSS (the BJP''s ideological mentor)," said Congress sources. In the run-up to the Karnataka assembly elections, Congress president Rahul Gandhi had said he would be ready to be the prime minister in 2019 if his party emerges as the biggest party.